Hyper allows to manage the employees attendance, as part of its employees module, by using the Attendance Clock. The attendance clock can be found at the main menu of the Hyper. This tool of Hyper, is used by the organization's employees to report their working hours and it allows to follow their attendance and working hours. This window displays the user's facial image and the last attendance records of the login / logout time, special notes and the attendance reporter's ID. This window displays records from the last 72 hours. The attendance history of an employee can be viewed by the human resource manager, in the Attendance tab of the employee card. In that tab, the manager can also edit and modify the working days and hours according to the needs or in exceptional cases. According to the organization's policy, the employee should report his working hours by logging in and logging out from the system. By pressing the Log In / Log Out buttons, the user should fill in his ID / Social Security number, to verify his identity. The logging in will be reported only after filling in an ID number of an exist employee. When logging out from the system, the user can also add notes to report any exceptional event that refers to the working hours or to the logging out time. Press the OK (F6) button, in order to approve and log out. 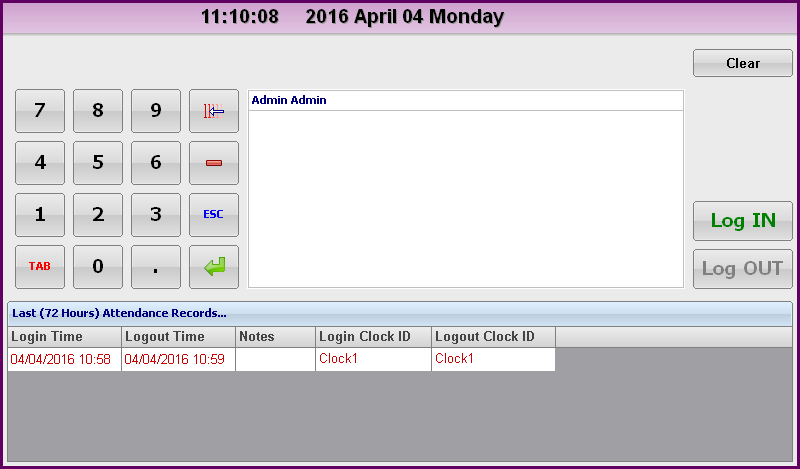 Hyper allows to use the attendance clock with no need to log in the system, by installing the Attendance Clock application. 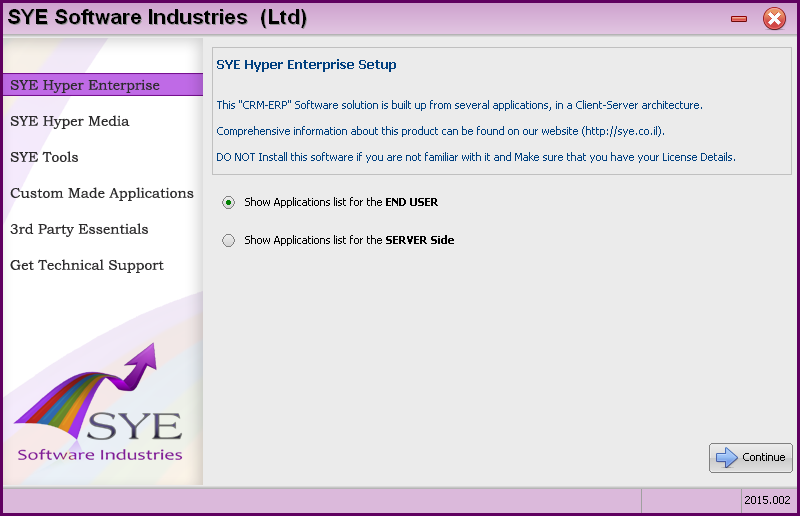 Open the SYE Products Installer and select the SYE Hyper Enterprise tab. Choose the Show Applications list for the End USER and press the Continue button. 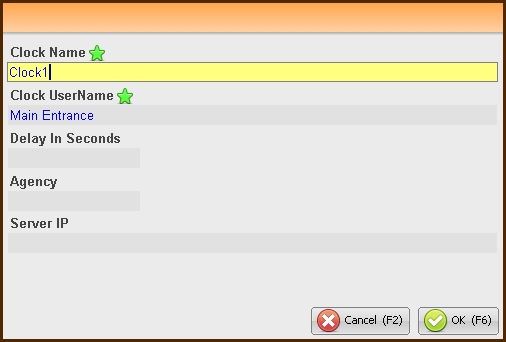 In the applications table, mark the Attendance Clock and press the Continue button. Read the terms and press the I Read and Accept the terms above button to continue. In the last step of the installation, select a folder for the application to be installed in. Since Hyper writes in its own files, and due to Windows 7 security policy that does not allow to write to the "Program Files" folder, it is recommended to install the application in the user's folder. Select the required shortcuts and press the DOWNLOAD & INSTALL button. After installed, the Attendance Clock application can be opened. Clock Name The name of the external attendance clock. This name will be displayed in the "Clock Id" field. Clock UserName The clock user name for the DB. Agency The agency number, as defined in the "Agencies" tab of the System Fundamentals. This definition is used to set the time according to the agencies location. Server IP If the organization uses a local server, fill in its IP. To approve and continue, press the OK (F6) button. Fill in the ID number and press the button (Enter). The employee name will be displayed and the Log In / Log Out buttons will become available. After pressing these buttons, the window will be cleared. The Log In / Log Out time of each employee can be displayed in the "Last Attendance Records" table at the bottom of this window, by filling in the ID number and pressing Enter.